It's been five months since a killer walked free and DCI Ryan is preparing to leave Newcastle to hunt him down - this time, for good. But Ryan's plans are scuppered when events take a dramatic turn and he is forced to stay and face his past one last time, or watch a friend suffer the consequences. I have started and abandoned this review more times than I care to remember and the reason for this is that nothing I write will even come close to how absolutely brilliant this book is. I'm already a fan of the DCI Ryan series but OH MY GOD Seven Bridges took my breath away, almost stopped my heart, made me gasp out loud, brought tears to my eyes, gave me goosebumps and left me completely thunderstruck. I'm not going to write too much about the plot, other than what is mentioned in the blurb, but I have to share the moment I read the scene where the Tyne Bridge explodes. I was reading at my desk on my lunchbreak when I emitted an almighty gasp that made my colleague ask what the matter was. With tears in my eyes and a shaky voice I said 'the Tyne Bridge has just blown up'. For a heartstopping second, my colleague thought that I'd read a breaking news alert! You can't get more realistic than that in fiction! I can see this becoming the question you ask people at parties instead of (age dependent) where they were when Kennedy was shot or when Princess Diana died. 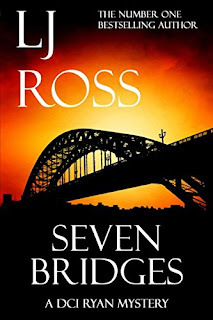 Do you remember where you were when you were reading LJ Ross' book about the Tyne Bridge blowing up? 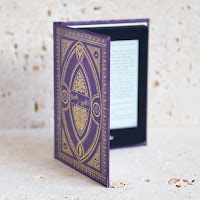 LJ Ross definitely found the golden ticket when she created DCI Ryan and his team; the storylines are outstanding but LJ Ross goes one better than 3D by creating four-dimensional characters that feel as real as you or me. I mean it goes without saying that everyone loves Ryan, but we also love Ryan's strong and sensible wife Anna, down to earth DS Frank Phillips who is always thinking of his stomach, DI Denise MacKenzie who has been through a lot and has finally found happiness and DC Jack Lowerson who is so lovely and just wants to find love (but he's clueless where ladies are concerned). I love meeting up with my old friends in Northumbria CID. LJ Ross takes not just a step but a massive jump out of the 'cozy mysteries' genre into 'crime thriller' with this explosive instalment in the DCI Ryan series. Seven Bridges is darker, more dangerous and so very realistic that it is a Thriller with a capital T. I am absolutely certain that this will be the best book I read this year...how do I know this already, you ask...because it is THE BEST BOOK I'VE EVER READ!!!! There are simply not enough stars in the sky to award this book so I have to make do with giving it five stars.